Ingredients: Serves 2 people and it is 1 of you 5 a day per person. 1 Put the slices of bread to toast. 2 In a bowl mash the avocado with a folk, then add lime juice mix and mash some more. 3 Then add the rocket and mix then add the black pepper and mix again. 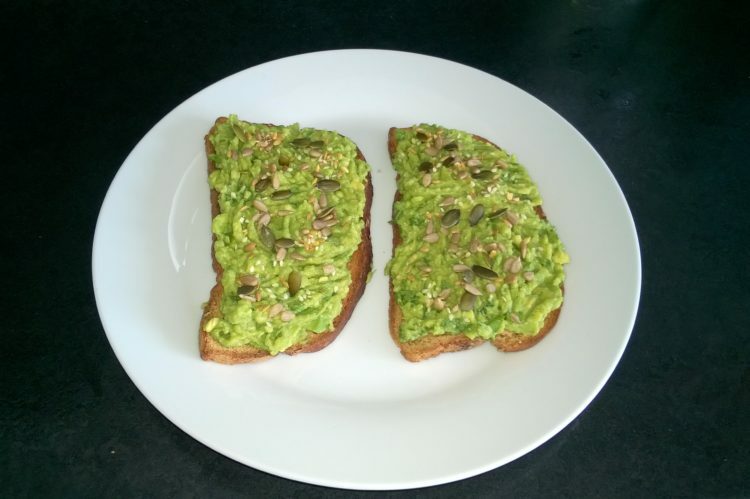 4 When the bread is toasted generously spread onto the toast, then sprinkle with the mixed seeds and serve.